Everyone starts somewhere, and many machine shops start with a process that involves multiple setups and extra downtime. But eventually, there comes a day when a true 5-axis is the right fit. 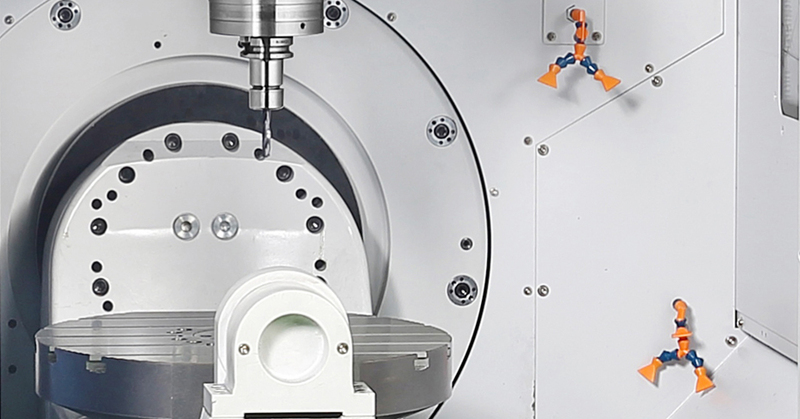 When that day comes, the DVF 5000 and its integrated 5-axis table is an unbeatable option. Speed meets strength in the DVF 5000. An 18,000 RPM spindle gives total access to the part while maintaining rigidity, and the maximum of 120 tools, rapid tool grippers and an automatic work changer are made for lights out machining. Yes, it’s both at the same time. The compact footprint of the DVF 5000 fits comfortably in the smallest of shops, and the spacious work envelope allows for machining of parts up to 400 kilograms.